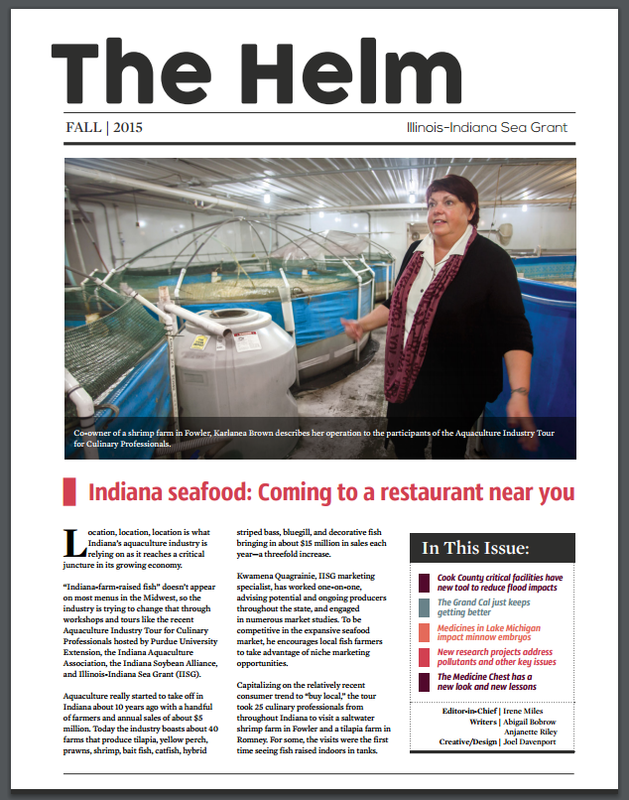 Fall 2015 issue of The Helm is now available! Check out the latest issue of The Helm now available in print and online. Highlights include: the expansion of Indiana aquaculture, new tools to reduce the impacts of flooding in Chicago, Grand Calumet remediation milestones, and research findings on the impacts of pharmaceuticals on Lake Michigan minnows. You can subscribe to our e-newsletter to make sure you never miss an issue, and you can always view past issues of The Helm here.